Known within Germany as the freedom-loving city-state and for its legendary protector, the UNESCO-listed statue of Roland (of The Song of Roland fame); Bremen takes the visitor back to 15th century if the 10-meter statue and the Markplatz (market square) are any indication. Located mid-way between the Dutch border and Hamburg, Bremen is also close to both of Germany’s northern coastlines; the North Sea on its west and the Baltic on its east. Destinations that can be easily explored on a Bremen motorhome rental. A few kilometres downstream the port of Bremerhaven, Bremen straddles the River Weser for a couple of kilometres across, and hugs its banks for 10 kilometers long. 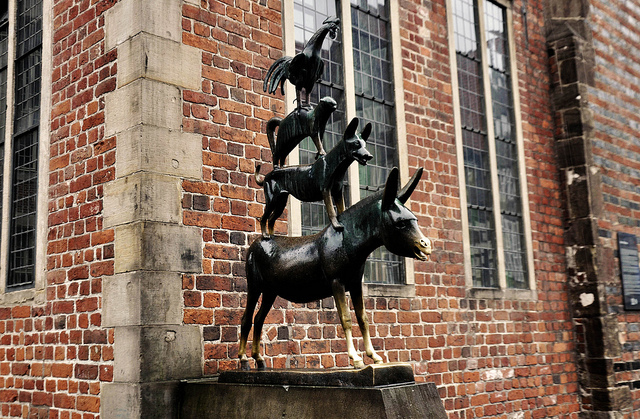 While Bremen is highly walkable, you can cover more of the Market Square-Schnoor Quarter route (which starts from its Altstadt or Old Town) on a Bremen motorhome hire. You can then easily drive your campervan rental to Kiel, two hours northeast and Germany’s gateway to the Baltic. Today, it is a city that is vibrant yet laid back and hosts many international sailing events. Bremerhaven, as well as being Germany’s port on the North Sea, is also home to the Klimahaus, an educational facility that has exhibits in rooms that replicate the planet’s various climates. The port is about 40 minutes north by Bremen campervan hire. Driving your Bremen motorhome rental to the west you will reach the Netherlands with its multitude of flower fields and traditional windmills, while driving east you can visit Hamburg, the second largest city in Germany which was built where three rivers meet and is often referred to as the ‘Venice of the North’ due to its many canals and bridges. Hamburg is also home to Miniatur Wunderland; the largest miniature wonderland in the world with models representing many familiar locations around the globe. South of Bremen is the city of Hannover, about a couple of hours by RV rental in Bremen and home to the largest exhibition center in the world. Sightseeing in this city is easy as following red paint on the pavement. Known as the Red Thread, the red paint marks out a 3-mile tourist route. Driving your camper hire in Bremen farther east towards Berlin, you will first reach Potsdam. This was the site of Frederick the Great’s summer palace called Sanssouci (French for ‘worry-free’). Built in 1745; the palace overlooks 700 acres of royal gardens and was built at the top of a terraced vineyard. Once you reach Berlin, about four hours to the east by campervan rental in Bremen, there are many attractions for you to visit, including the Tiergarten, an urban park that houses the palace occupied by the president of Germany. There is also the Berlin Zoo, one of the best in Europe; the Brandenburg Gate, built in the 1700s and today stands as a monument to Germany’s reunification; and Check Point Charlie, the most famous of the Berlin Wall crossings.